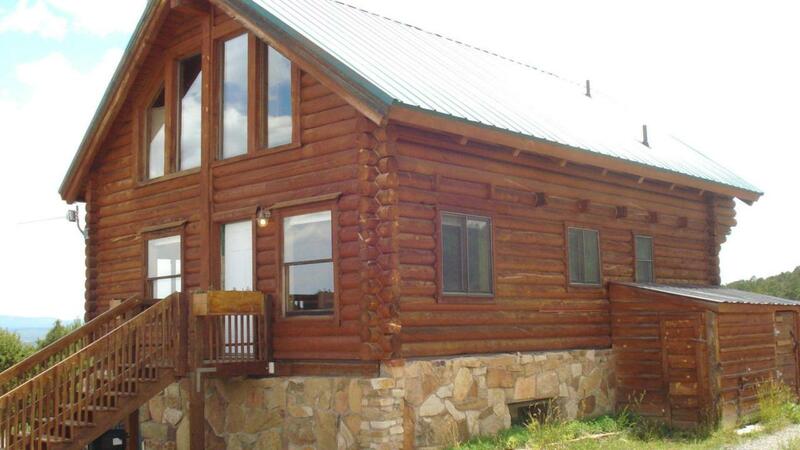 Private and peaceful setting close to town on 37.19 acres. This charming 2 bedroom, 2 bath log home has gorgeous views of the valley, the LaSalle mountains and the most gorgeous sunsets.Downstairs has a bedroom and full bath. Upstairs has another bedroom and full bath with another living area and an upstairs deck. Recently completed basement on the lower level with lots of potential for more living space. Flooring is hardwood pine, brick tile and laminate. Two 1200 gallon cisterns. Out buildings include a greenhouse, shed and play house.A short distance to town but with a wonderful feeling of seclusion.